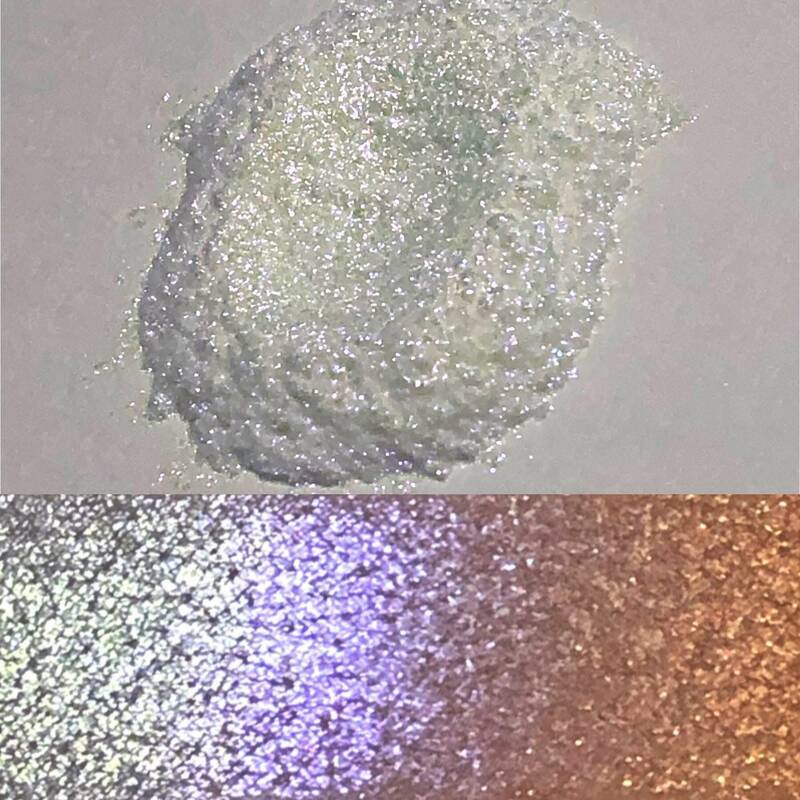 Is a chameleon shade shifting super sparkler pigment. 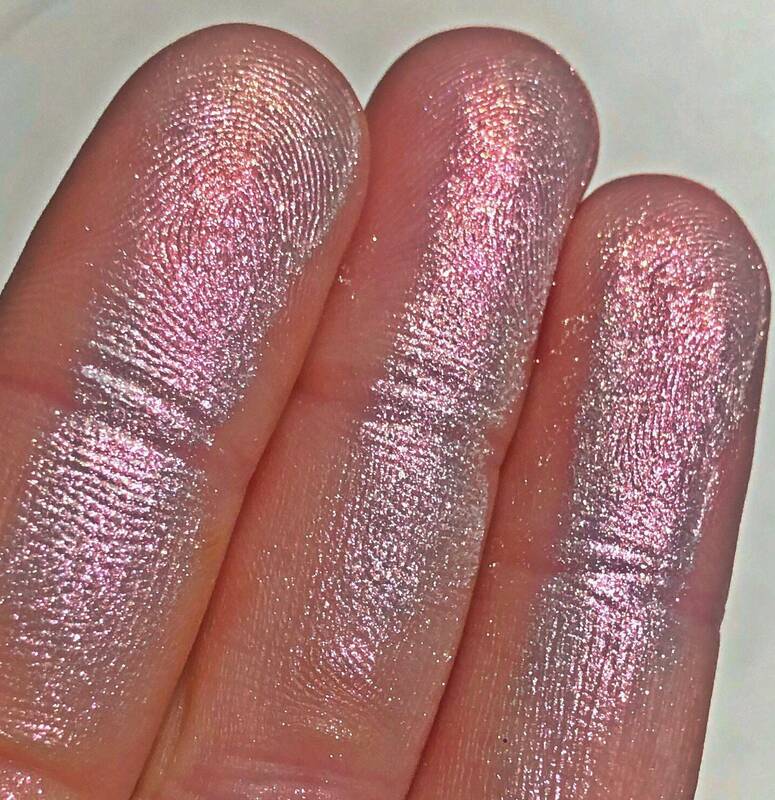 Super sparkly! 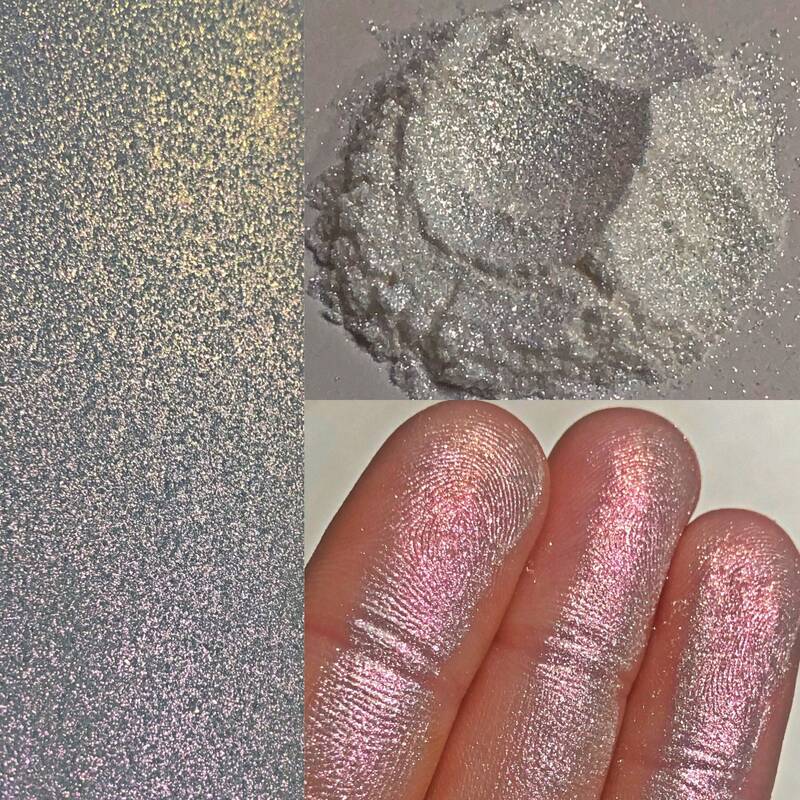 Treat as you would a glitter..IRIDESCENT...Changes colors in different lighting. 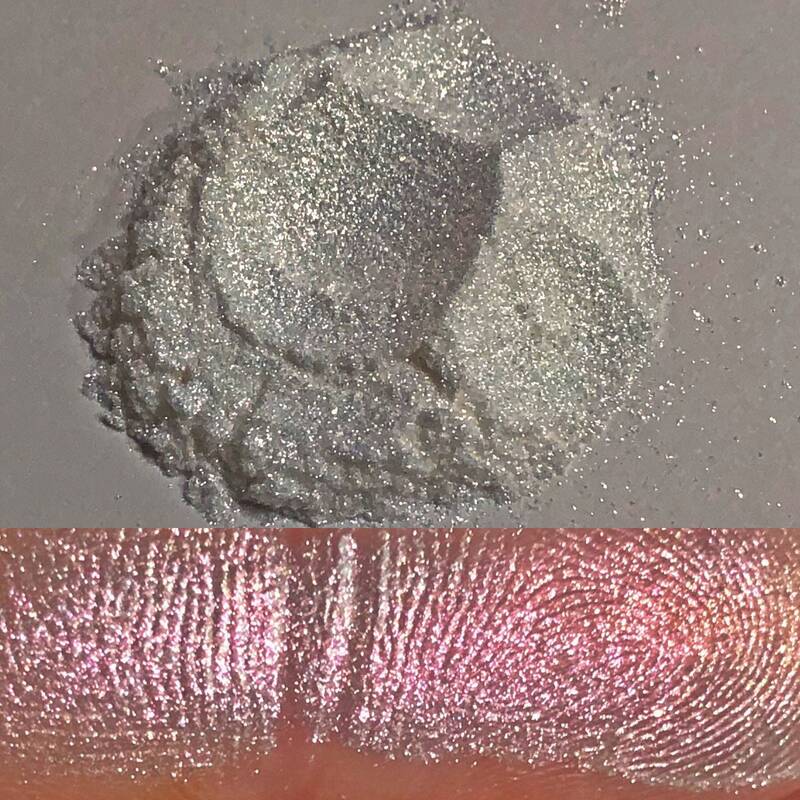 gold / pink / lilac shifts and sometimes a hint of green ... Best application is with our foil fluid or the ring finger in a patting motion on the lid over another color / sticky base / primer. Absolutely STUNNING! 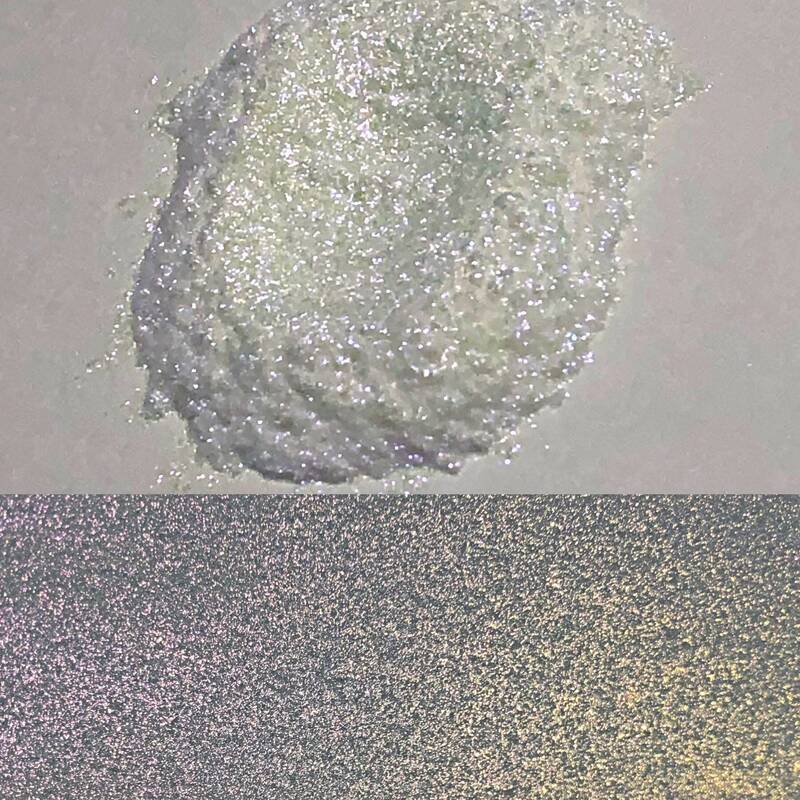 Compare / treat this to a small partical glitter (but this is not glitter), it is safe for the eye area and approved by the FDA for that use. 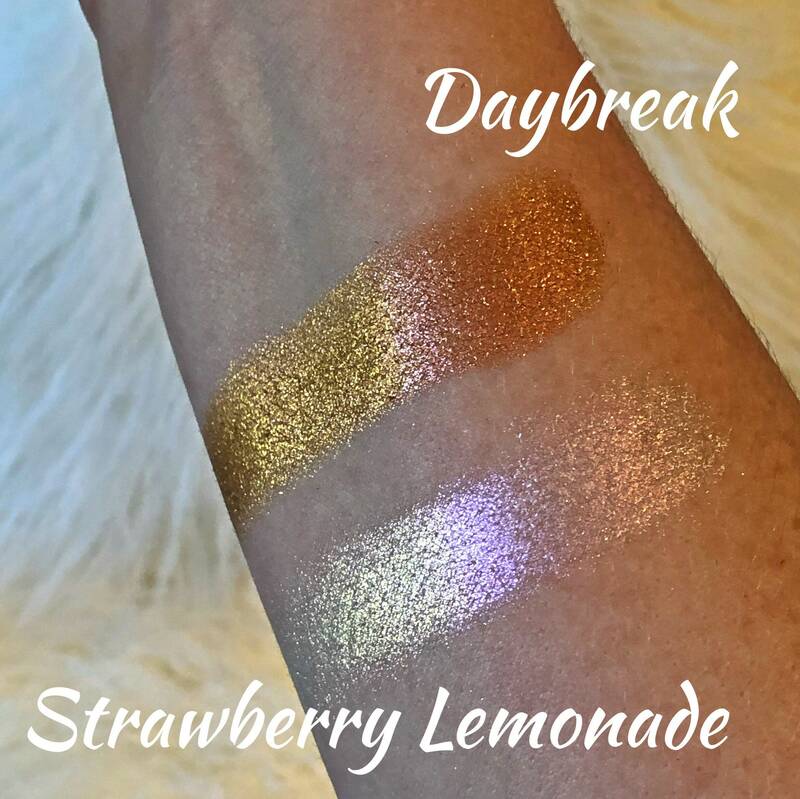 🚨Swatches shown in pics with the names written are on moisturized skin, and layered to show the color and shift.